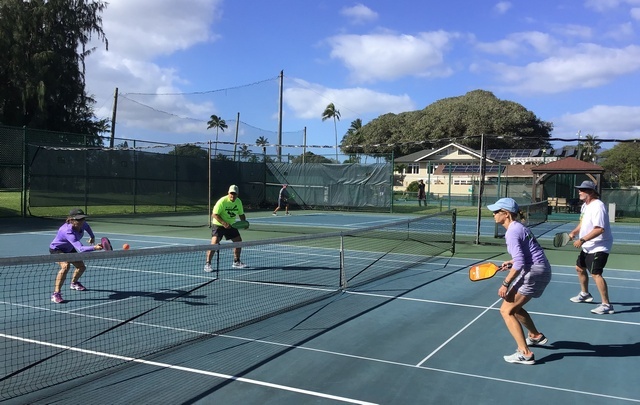 Sunday, Tuesday and Thursday afternoon from 2:30 p.m.
Saturday mornings from 9 a.m.
Protocol: The pick-up tennis game (drop in doubles) is a long tradition at Maui Country Club. 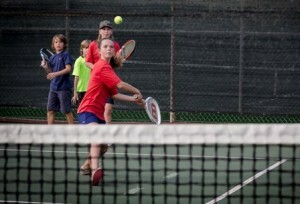 It is free and a good way for new members to meet other tennis players in a fun, casual environment. Play continues for approximately 2 hours. It is doubles only and takes place on Court 1. Players can arrive and leave anytime during the matches. Both men and women are welcome. No need to come with a partner. The tradition is that losers come out after one set and the winners invite the next two people on the picnic tables or bench to come in for the next set. 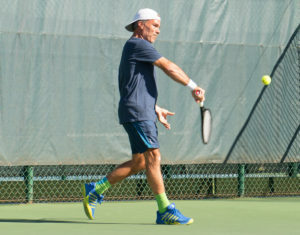 Alternatively, if those waiting do not want to wait for the set on Court 1 to finish, they can pair up for a doubles match on another court. Pick-up tennis has priority on Court 1. Often, on Sundays, there is an optional informal pot luck following the tennis. 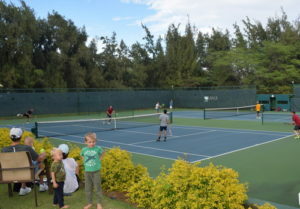 Drop in doubles matches are exclusively for the members of Maui Country Club and their invited guests. Visit the membership pages for information on joining this dynamic community. 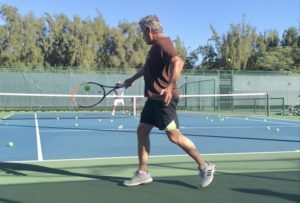 Live Ball Doubles – Rock Your Game! Advanced Fridays @ 4:30-6 p.m.